First off, there will be spoilers, but not to the point of me digging around in client patches. Any spoilers you see below were mentioned in the Producer’s Letter. I’m saving my thoughts about New Magincia for another post, but so far I’m impressed with what I’m seeing on my shard. I really thought it would turn into Luna 2, and I can’t apologize enough for thinking that. I’m planning on trips to all of the shards in coming weeks, but from my own and from a few others, I can say that many people moved to New Magincia with the intent of actually living there. I want to talk about other things though. When Calvin Crowner posted his Producer’s Letter last week, it gave us a good idea of what to expect over the coming year from UO. I’m going to kind of post my thoughts in the order of the producer’s letter. I won’t spoil it too much, but you can dig through the UO Journal archives or just search UO Journal for “vendor bazaar” and you’ll see plenty, but at this point I’m wanting to know how many and where they will be. From what has been said and what has been seen within the client files, I think it’s going to be an interesting system. I wonder how it will play out with people who have bought homes in what people thought would be a vendor-heavy area, who are deliberately resisting putting vendors out. In the producer’s letter, it was mentioned that a “core feature that will fill out the bazaar will allow players to buy and sell commodities” which leaves me to wonder if the vendor bazaars will not be full vendors, but instead will only be able to sell certain goods – commodities such as reagents, lumber, ingots, and perhaps the various imbuing ingredients. That might just mean no rares, no weapons, or anything of that nature, just things that can fit in the commodity deeds. That strikes me as very interesting. It could very well turn New Magincia into a shipping or a manufacturing hub of sorts, while staying away from the tackiness/gaudiness of Luna. It might also keep runaway prices from happening, like what you see in Luna, since the market would be focused on one type of good – commodities. With a lot of people participating, you might see a race to the bottom of sorts. We haven’t seen too much about it, other than the image posted in the producer’s letter and some things that I won’t spoil, but I think it’s good. It’s just one more thing that adds depth to UO in regards to crafting and non-PvP and non-PvM communities. There are plenty of people who rarely tangle with other players and monsters. I can definitely see this going over well with the roleplaying community, especially since you can use a special engraving tool to engrave the beverages that you brew. Not much to say here, other than adding more depth to the UO gardening system, which is a favorite and useful system of many UO players. My thought is that the raised garden beds will be new house add-ons, and it would be interesting to see if players devote entire plots to raised garden beds. Get yer pets right here, fresh red-hot pets! Cal confirmed what many of us already knew unofficially – pet vendors. There are arguments back and forth on this topic, and both sides have valid points. On one side, you have people who think this will remove some of the player interaction from the game. On the other side, this will be of an immense help to pet tamers who can find it hard to sell tamed pets these days, especially those whose playing time is limited and who don’t care to flood general chat with it. Normally I would oppose anything that removes any player interaction just on general principal, but I can see the point of professional tamers who talk about how difficult it can be to ply their trade. Other professionals have an easy outlet to sell their wares – just about everything else can be sold through vendors, whether your a miner selling ingots or a tailor selling high-end armor. The quick and dirty summary is this: a new system that allows you to copy a character onto the Test Center shard so that you can try out various things with your character. Yes, on TC you can set your stats/skills to whatever you want, but this allows you to take your character and equipment there. Obviously it’s a copy, and the original will not be touched, nor will you be able to transfer off of Test Center with the copy of your character. I think this is something that many people will use, and could even create a situation where large numbers of people from various shards get together frequently on TC. Right now you see that for the occasional events and Rares Festivals. In the letter, it was mentioned that We are centering many decisions this year around improving the Enhanced Client (removing the Beta Tag). As somebody who has been testing out the EC, tentatively at first, this is welcome news. I can’t completely switch off from the CC just yet, but I understand that the EC is important to many players, both old and new, especially new. New players are not going to use the Classic Client, both because the new player experience is built on the EC, and because of obvious reasons. What is comfortable for many of us would be very alien to new players. The EC community feels very frustrated at times with the EC. It was also mentioned in the letter that the Classic Client is not going anywhere. Both communities should be pleased that they have commitments in regards to their clients – the CC users are not going to face the CC being discontinued anymore if the EC reaches a certain level, and the EC users might finally start seeing more improvements in the EC. Now is the point where both communities should stop taking potshots at one another, but that probably will not stop. I wish it would, because I don’t think it does UO any good (more on that later). We are told that the EC will be at the center of this transition for new and returning UO players. Here is something that is desperately needed: A better Return to Britannia program. Not one that is random and very infrequent. 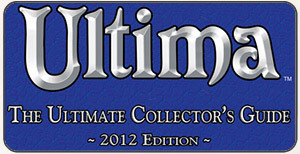 A permanent Return to Britannia that is available at any time for past UO players. If you’ve been gone a year, you get 2-4 weeks of free play to check things out. Maybe even tie it to the EC. If you’ve been gone longer than a year, you get a free month to try it out. While the new player experience is very early in the planning stages from what the letter says, they are looking at all aspects of it. I don’t really have much to say, although I think returning players usually do just fine. The problem for both new players and returning players is getting them up and running with actually doing things within UO and getting them into touch with player communities. A return to the Counselor program obviously isn’t going to happen, but a lot more could be done to bring new players into contact with experienced players and guilds. It speaks for itself: First step for the art resolution pass is to assess what we have and how best to use current art assets. In the near term we plan to update the terrain to a higher resolution. Following how our first pass works, we will move on to other elements. It’s interesting that they selected the terrain to update first. The terrain is a sticking point with some people, and it will be a welcome update for them. It’s one of the more noticeable things when moving back and forth between the EC and CC. I like the idea of doing it in passes, because it should mean that we get to start seeing results much quicker. It will probably also help them tweak the client in regards to performance issues. I can’t really say much else other than I wish it would happen quicker! One thing I am surprised about, is that more people aren’t aware of it. There is cynicism from many players because of the 3D client and then the Kingdom Reborn client, sure, but here we are, and we have a high resolution update on the way. As an Ultima fan, I’m completely on board for the shorter story arcs focused on the origins of Ter Mur. It’s a tough wait until June, but they have a publish or two to get out between now and then. I’m also interested in the changes with the EM events. This is in addition to the producer’s letter, and it concerns something that was posted today. 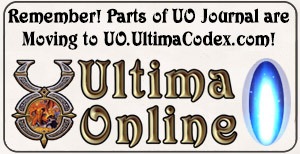 This is a big deal as far as I’m concerned – the UO team has set up an art contest of sort, Talents of Sosaria, that is focused on player-created artwork, with some of it eventually appearing on UOHerald.com. I’ve went into detail about my thoughts of UOHerald.com, and anything that gets the players involved with it is good. I know it’s only one event, but it’s a start. There is something else as well – it was mentioned in the Producer’s Letter that there would be more information posted to the official UO FaceBook page on coming Fridays. This is good. People like regular updates and like the interaction. I plan on putting all of this information in a better format and posting it on the main “Future of UO” page here at UOJournal.com in the next few days.